The ship was built under the MDAP-programme (Mutual Defence Assistance Programme) in Italy as PCE-1626. Delivered to the Royal Netherlands Navy in 1956. 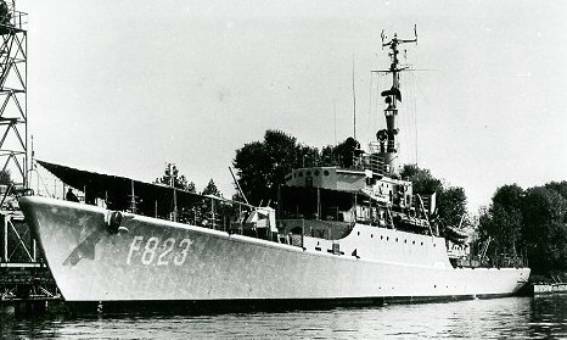 Integrated into the "Roofdier-class" Fleet of Corvettes but not the same design as the US-built "Roofdiers" so it may be a "one-of-a-kind" ship. Commissioned as F 823, HNLMS Lynx. Transferred back to Italy after only 5 years in RNLN-service. 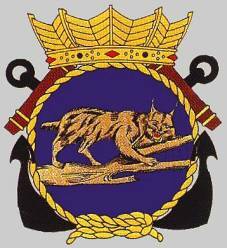 In service in the Italian Navy - Marina Militare Italiana (MMI) as NMM Aquila (F 542). Decommissioned in 1991.